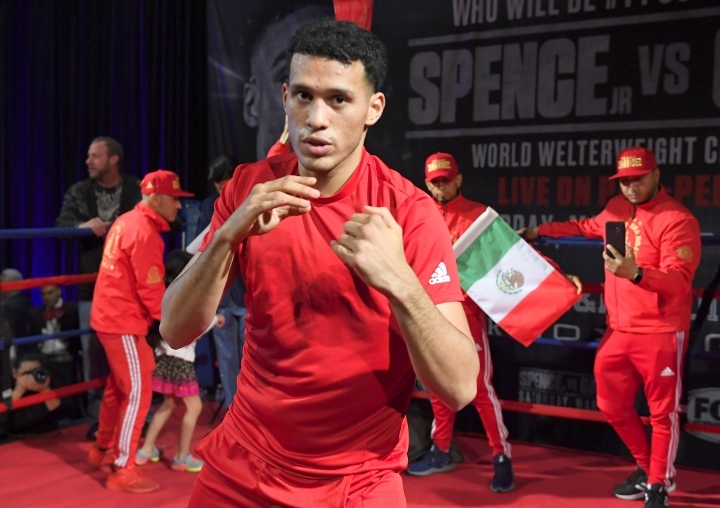 AT&T Stadium, Arlington, Texas - In the co-main event, unbeaten former 168-pound world champion David Benavidez (21-0, 18 KOs) dominated J'Leon Love (24-3-1, 13 KOs) to earn a second-round stoppage in their super middleweight matchup. "I expected to knock him out, but when I hit him with the first good shot, I knew he wasn't going to last," said Benavidez. "I tried to pace myself, but it wasn't necessary tonight." Dirrell struggled with a guy that even Eubank Jr toasted, Benavidez will beat him easily. Let's Get It! ASAP! Benavidez didn't take any punishment! Dirrell already contemplating retirement! He might want to pass on this one!